But that doesn't mean stories and images about the chaotic fallout from a 'no deal' Brexit can't still stoke anxieties among the voting public. 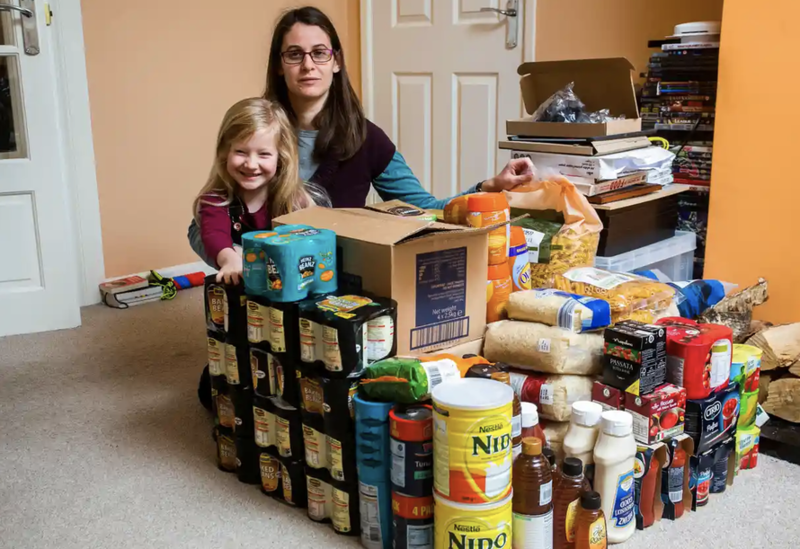 Enter the Guardian, which published on Tuesday a story documenting the phenomenon of the newly minted Brexit doomsday prepper. A reporter for the paper traveled to different parts of the country interviewing members of Facebook groups and other social media cliques dedicated to preparing for the worst case scenario. May's government has offered a nightmarish vision of the fallout, complete with lorries backed up at the border, bare cupboards and supermarket shelves and medicine shortages. In an interesting twist, the Brexit preppers documented by the Guardian don't fit the stereotype of the rugged libertarian-leaning individualist. instead, they are mostly housewives and working women worried about their children going without essential medications. Jo Elgarf, a member of the group '48% Preppers' (so named for the percentage of Britons who voted to remain a part of the European Union), told the Guardian that she had agreed to participate in the story because her doctor told her she couldn't stock up on two essential medications that help her child avoid daily seizures. Because it’s not just about food for Elgarf and her family. 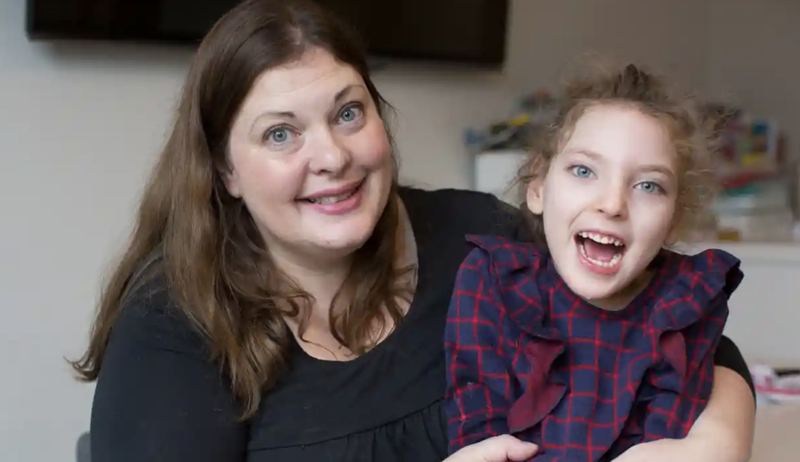 One of her four-year-old twins, Nora, who has been sitting happily on her mum’s lap as we talk, has a rare brain condition called polymicrogyria. She has lots of prescriptions, but without two of them – Epilim and Keppra – for her epilepsy, she would have multiple seizures a day. “She can’t do without them,” says Elgarf. Both Epilim and Keppra are imported. If she could stockpile these medicines, she would. But they are controlled, and she can only get a month’s supply at a time. “It should be all right,” she has been told by doctors and the pharmacists. But when it’s your daughter’s life that’s at stake, “it should be all right” isn’t good enough. Many of the people who join the Facebook group have concerns about medicines, Elgarf says. There are a lot of diabetics and coeliacs among them. What they need is some reassurance. “We need to know for certain they have got a proper plan in place for anybody who depends on meds.” She has heard rumours that the most critical medicines may have to be collected from central hubs, which would be stocked on the basis of lists provided by GPs.It’s clearly something she has given thought to. Elgarf is also clear about why she is talking to me. “So come April and there’s no Epilim in the country, I’ll say: ‘Where’s that Guardian man?’ And you guys are going to be interested because this little child you saw in January now has no meds.” Nora has fallen asleep on her mum. Even if she never uses the supplies, most of which could be donated to a local food bank, Elgarf tried to frame her stockpile of food as a generally prudent decision. After all, in Switzerland, the government cautions residents in the Alps to always have two weeks worth of supplies stockpiled in the event of a snowstorm. “In Switzerland, they tell people to have, I think, two weeks’ stuff,” she says. People are vulnerable there, not just because they’re more likely to get snowed in, but also because they have a hard border. Elgarf’s degree was in European studies. And she worked in the food industry; she knows how just-in-time it operates. Chris Grayling’s little lorry exercise didn’t reassure her. Nor the chief executive of the Association of the British Pharmaceutical Industry saying that a no-deal Brexit “should be avoided at all costs”. 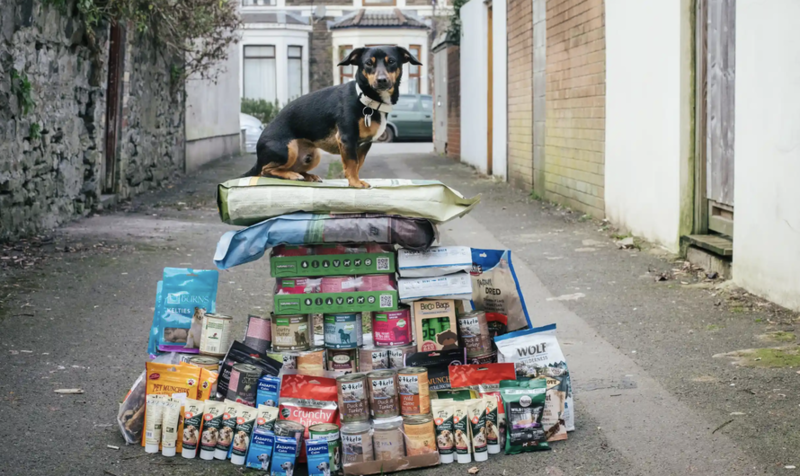 One woman who stockpiled everything from food, to potable water to makeup said she wasn't only prepping for herself - she was doing it for her dog as well. Helena is not just prepping for herself. She is doing it for her dog, Charlie, too. And while she has about three months’ worth of supplies for herself, she is looking at more like a year for the dog, as she doesn’t see that pet food will be a priority. "I don’t really trust the government to look after me; I certainly don’t trust them to look after my dog," she says. As well as dog food, there are treats and toys on the spreadsheet. Charlie is going to enjoy a hard Brexit. Helena sees it as an insurance policy. "Unless there’s enormous panic buying, I don’t think there’s going to be nothing on the shelves at Asda," she says. "But I do think there’s a very good chance that choice is going to be limited." Another woman interviewed by the Guardian was an accomplished economist who said her knowledge of how supply chains worked inspired her to start stockpiling. In Cambridge, Diane says she is also stockpiling, though she doesn’t want to go into too much detail. “I’m a bit cautious about being presented as an idiot who has a cupboard full of stuff,” she says. She’s OK about using her surname, though: she is Diane Coyle, OBE, FACSS, the economist, Bennett professor of public policy at the University of Cambridge, former adviser to the Treasury, vice-chair of the BBC Trust, member of the Competition Commission, winner of the Indigo prize...in short, really not an idiot. "The point about supply chains,” she explains, “is that the things you buy in the supermarket today were on the road last night. Supermarkets now don’t have warehouses full of stuff. If we have a no deal and the delays go up even by 12 hours – although I see there’s a new report saying it is going to be much more – then things will stop being put on the shelves. They will run out. And it’s not just stuff we buy from the EU, and it’s not just fresh produce – it’s quite a lot of things." Some believe that the fallout from a 'no deal' Brexit could linger longer than many expect. In north Cornwall, Nevine Mann believes we will leave the EU without a deal, and that’s what she is preparing for. "We’re expecting it to be pretty horrendous for at least a couple of months, hopefully settling down and becoming less horrendous over time," says the former midwife. "Long term, we expect what’s available to be more expensive and different." ...or they could find themselves right back at square one if it is defeated by a wider than expected margin.